1. How can knowing the mutations that cause a patient’s cancer shape treatment? Scientists have spent decades learning the precise genetic mutations that can cause a cell to start dividing uncontrollably. Cancer patients can now have their tumours sequenced to identify the genetic root of their disease–and we have targeted treatments for many of these genetic alterations–but we are still very much in the early years of making the most of genomic data. Enter the U.S. Precision Medicine Initiative (PMI), launched during President Obama’s 2015 State of the Union Address. It includes a focus on cancer that aims to identify new clinical situations in cancer where targeted treatment will be effective, study potential resistances, and develop databases that aggregate patients’ health data to help doctors make better clinical decisions. In 2000, researchers Robert Weinberg and Douglas Hanahan proposed the “Hallmarks of Cancer” in a landmark Cell review (doi 10.1016/S0092-8674(00)81683-9). Their short list of underlying principles that define a cancer includes evasion of cell death, the ability to grow self-sufficiently, insensitivity to antigrowth signals, tissue invasion and metastasis, limitless cell division potential, and the development of blood vessels. 3. Why should we care about the tumour microenvironment? Cancer cells don’t exist in isolation. They work together. They co-opt blood vessels and extracellular tissue. A well-developed cancer is like an unwelcome organ, stealing resources from the rest of the body. The idea that the surrounding environment where a cancer grows is an essential part of the tumour and determines its survival has forced researchers to rethink how cancers form and grow. If precision medicine is to be successful, Bissell argues that we need to further study the different environments that support a breast cancer tumour versus a liver tumour. She hopes that we can perfect and maximise 3D models of cancers by using organoids surrounded by their relevant microenvironments. Such studies could help us test therapies that keep tumours dormant or even prevent them from metastasising. Cancers are often defined by the mutations that cause them, but mutations aren’t the only way to change DNA. What we know about cancer is being changed by the rising field of epigenetics, which seeks to understand the physical changes made to DNA that do not alter the genetic code but change the message encoded (e.g., adding a chemical compound to a sequence of DNA so that those genes are no longer expressed). “Cancer epigenetics was transformed by the unexpected finding that many of the genes most commonly mutated in human cancers are epigenetic modifiers, thus clearly linking genetic and epigenetic processes in cancer,” says Peter Jones, Research Director and Chief Scientific Officer of the Van Andel Research Institute. The future of cancer treatment may involve epigenetic therapies, which are currently being tested for particular lymphomas. Earlier success has been seen in blood cancers, rather than in solid tumours, but there is hope that they can be combined with immunotherapy to boost other patient responses. Cancer immunotherapy–the harnessing of the immune system to fight cancer cells–was a quiet field until researchers began to prove that it could treat patients who cannot be helped by traditional therapies. 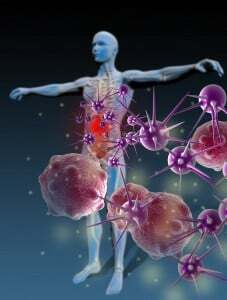 Cancer cells are able to evade the immune system, and these immune strategies wake T-cells up. So far, the treatments work best with blood cancers and melanomas. 6. Will p53 ever realise its promise? The gene that encodes for the p53 protein is among the most frequently mutated genes in cancer. The normal activity of p53 prevents cancer, and there are several different types of p53 mutations that cause tumour growth and aggressiveness. This has tantalised researchers because p53 represented a possible therapeutic target that could have a wide impact across many cancers. Unfortunately, the protein complexity proved to be more challenging than researchers anticipated. Cancer cells use energy differently compared to normal cells because tumours require different kinds of fuel to continuously grow. This property of cancer has received a surge of interest in recent years as researchers consider how potential therapies could disrupt cancer cell energy consumption. We are not too far away from a time when cancer 3D organoids, derived from patients’ cells, can more faithfully replicate human cancers in a laboratory dish. After decades of curing cancer in mice, this new era redefines the preclinical step, by allowing us to test potential therapies in human tissue. But mouse models of cancer have led to many groundbreaking insights into the disease, and with recent advances in genetic manipulation, no other experimental system can currently rival the customisability of the laboratory mouse. Scientists can now create humanised mice, with human versions of cancer-causing genes, to study multiple mutations at once.